A military series produced in Turkey that is set the spring of 2014. The Turkish title is BÖRÜ. Where can you stream Wolf? 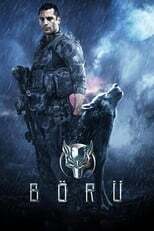 On 2018-02-28 Action & Adventure/War & Politics TV Series Wolf first aired on Star TV. Written and created by Alper Çağlar, Wolf has ended and last broadcasted on 2018-04-11.